Signed wartime photograph of Winston Churchill by Cecil Beaton. The photograph was taken by Beaton in Churchill's cabinet at 10 Downing Street on November 20, 1940. Italian/Greek Campaign: The battle for the summit of Morava continues on 20 November 1940. The Italians are holding on fiercely, because the mountains control the key valleys below that lead toward the coast. The Greek Group under Lieutenant-General Georgios Kosmas, however, is tenacious and has the benefit of local knowledge of the mountains. Elsewhere, the Greek Liuba Detachment attacks across the Kalamas River in the Thesprotia sector, the Greek 8th Infantry Division takes Vissani in the Kalamas sector, and the Greek 2nd Infantry Division advances in the direction of Aidonochori and Drymades in Negrades sector. This is a Radio Orphan Annie ID bracelet. Below is the reverse. These bracelets were a promotional item distributed by Ovaltine for the radio Orphan Annie show's November 20, 1940 broadcast. The initial on front corresponded to the first letter of the listener’s name, and the serial number on the reverse was filed with the Orphan Annie Identification Bureau. It is unclear where all that ID information ever went, somebody probably still keeps it somewhere. European Air Operations: The Luftwaffe (I,/KG 55) bombs Birmingham for the second night in a row. The 116 bombers add another 132 tons of high explosives and 296 incendiary bombs. The Germans lose one bomber. The Luftwaffe does little during the day, and the short daylight hours make such missions unnecessary anyway. The Corpo Aereo Italiano chips in by sending a dozen bombers against Harwich again during the night. It is unclear why the Italians always attack Harwich, perhaps because it is easy to find from the air and they do not have the sophisticated guidance beams used by the Luftwaffe bombers. 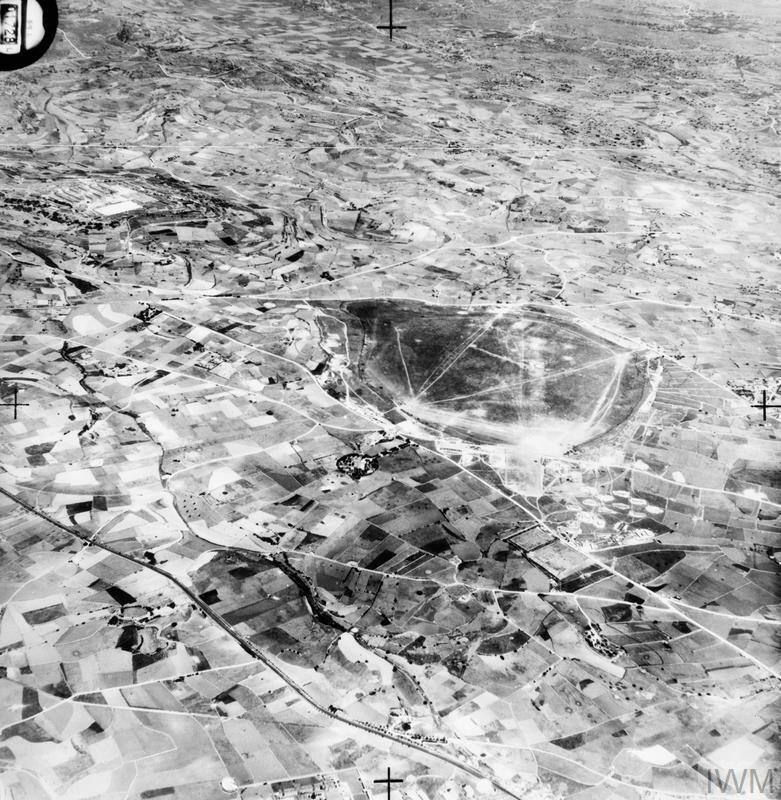 RAF Bomber Command raids Duisburg with 43 aircraft, and U-boat base Lorient with 8 bombers, overnight. Oberleutnant Josef "Pips" Priller" joins 6,/JG 26 as Staffelkapitän of 1st Staffel. Reichsmarschall Hermann Goering lifts a ban which he had placed on Stab,/JG 53 (headquarters unit) regarding its unit emblem. The pilots and ground crew were never happy with this slight. JG 53 is the "Pik As" (Ace of Spades) squadron, and Goering had ordered the emblems removed because the wife of Geschwaderkommodore Major Hans-Jürgen von Cramon-Taubadel was Jewish. The Geschwader picks up its 500th victory of the war shortly after the ban is lifted. JG 53 is one of the Luftwaffe's elite fighter units, home to top aces Werner Mölders and Hans Karl Meyer. Such formations have a certain leeway within the Wehrmacht available to almost nobody else because they are highly skilled and irreplaceable personnel. The men of the unit have been removing the Swastikas from the tails of their planes as a form of silent protest. Very few open open acts of defiance against the Nazi leadership occur during the war, especially successful ones, so this is worthy of note. The initiative for the change appears to have been a new Kommodore, Major Günther Freiherr von Maltzahn, whose wife was not Jewish (in fact, it is unclear if he ever married). 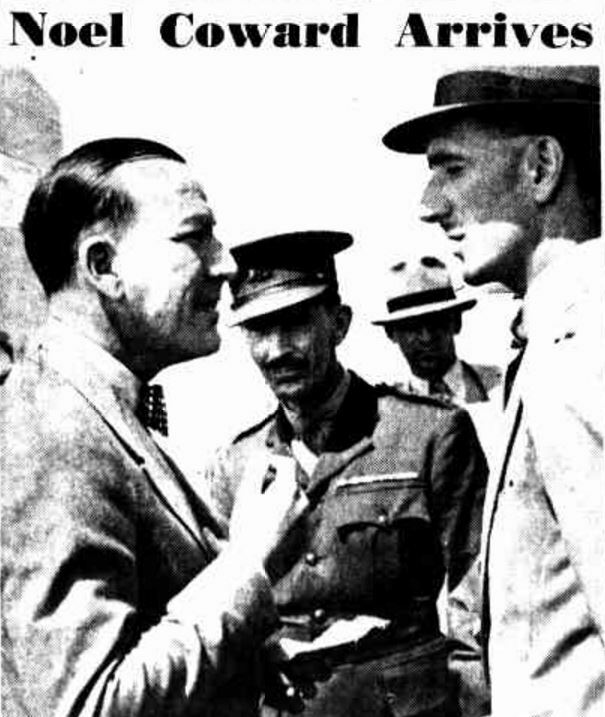 Noel Coward arrives in Brisbane as part of a 7-week tour to raise money for the International Red Cross. His day will be full: a radio broadcast, a sherry party and then a military concert. This photo was in The Telegraph, 20 November 1940. Battle of the Atlantic: German coaster Snorre I hits a mine and sinks off Kjøkkelvik, Hordaland, Norway. The Supermarine Walrus amphibious biplane from Royal Navy light cruiser HMS Manchester capsizes and sinks at Sullom Voe, Shetland, Scotland. The Luftwaffe bombs and damages 8955 ton British tanker Chesapeake off the Lizard. Convoy OB 246 departs from Liverpool, Convoy OB 247 is held in port, Convoy FN 338 departs from Southend, Convoy FS 340 departs from Methil, Convoy HG 47 departs from Gibraltar (30 ships). The Kriegsmarine begins converting cruiser liner Wilhelm Gustloff, which has been acting as a hospital ship, into a floating barracks at Gotenhafen (Gdynia). The ship will retain its engines and be capable of troop transport as the need arises. The Kriegsmarine commissions captured Norwegian submarines B-5 and B-6 as training U-boats UC-1 and UC-2. 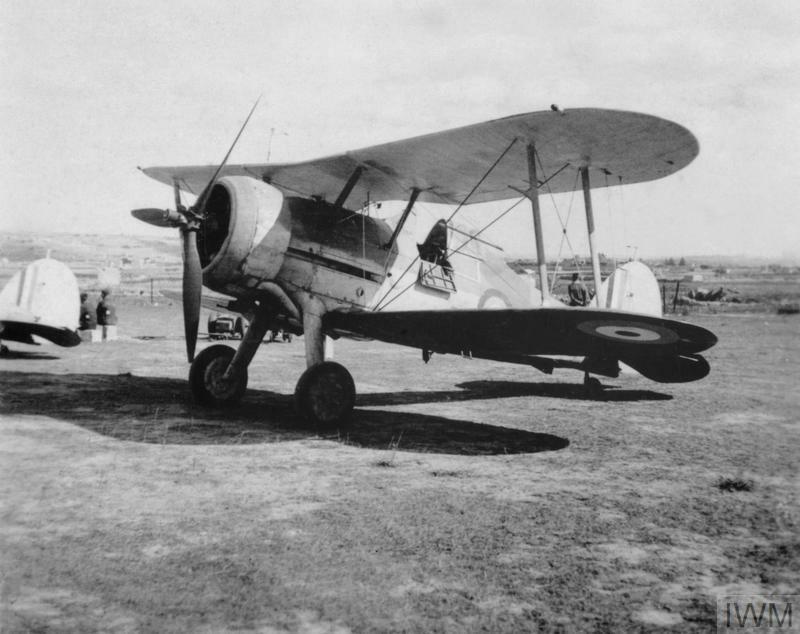 "Gloster Sea Gladiator Mark I, N5520, on the ground at an airfield in Malta, probably while being flown by No. 261 Squadron RAF at Ta Kali. The aircraft has been refitted with a Bristol Mercury engine and three-bladed Hamilton propeller salvaged from a Bristol Blenheim. N5520 is the only surviving Gladiator of the Malta-based Fighter Flight, and was presented to the people of Malta as "Faith" in 1943." © IWM (ZZZ 3915E). Battle of the Mediterranean: As part of the RAF shakeup that has removed Air Marshal Dowding from his position, Air Marshal Owen Tudor Boyd (formerly Air Officer Commanding, Balloon Command, and only recently promoted to Air Marshal) has been appointed Deputy to the Air Officer Commanding in Chief, Middle East Command. To take up that post in Cairo, Boyd flies in a Blenheim bomber across the Mediterranean en route to refueling point Malta. This is a more-or-less normal route, but Boyd's bomber goes far off course. It winds up far to the north over Sicily. Italian fighters scramble and force it to land in a field, where Boyd and six others are taken prisoner. Boyd's loss, while most unfortunate, is not what really worries the uppermost echelons of the British government; it is what he knows that causes concern. Boyd is carrying confidential papers, which he destroys by setting alight the downed bomber; and he also knows about the Top Secret Ultra project. Boyd, to his credit, does not reveal what he knows about that potentially war-winning decoding operation, and the Italians and Germans, of course, have no idea that he is hiding such information. Boyd spends his captivity in the Castle Vincigliata (Castello di Vincigliata) camp near Florence, Italy. This is a puzzling incident which may tie in with the loss of the 8 Hawker Hurricane fighters flying to Malta on the 18th. While it is unproven why the plane wound up over Sicily, some accounts state that the bomber was short of fuel. That is the same reason the fighters failed to make land at Malta. Boyd, incidentally, escapes from Axis control in December 1943 and finally takes up his command - three years late. Elsewhere, RAF aircraft bomb and sink 57 ton Italian coastal freighter Ardita III off Assab, Italian Somaliland. Italian torpedo boat Confienza collides with 2321 ton AMC Capitano A. Cecci off Brindisi, Italy and sinks. Royal Navy cruiser HMS York continues its delivery service in the eastern Mediterranean, dropping off its shipment of anti-aircraft artillery at Piraeus before heading back to Alexandria for another cargo. At Malta, the issue of troop morale is a major concern. Mail deliveries have not improved. Accordingly, the island command grants all ranks the opportunity to send one private telegram per month to the United Kingdom. There are strict limitations placed on the content of such messages, which are only to relate to matters of importance (which do not include terms of endearment). RAF No. 261 Squadron departs from Luqa and takes up operations at RAF Station Takali, or Ta'Qali (Maltese), on Malta. Wing Commander J R O'Sullivan is in command of the squadron of fighters. "High oblique aerial view of Ta Kali airfield, Malta, taken at 5,000 feet from the south-east." © IWM ((MOW) H 18-5). Battle of the Indian Ocean: German auxiliary cruiser Pinguin, operating in the Indian Ocean a thousand kilometers west of Australia, is heading southward when it spots smoke is on the horizon from a large westbound freighter. The crew of the Pinguin launches its seaplane, which buzzes the ship and drops a message instructing it to stop and maintain radio silence. The freighter gets off a distress call anyway before the seaplane can disable the wireless. The freighter then shoots down the seaplane, which the crew of the freighter chooses to ignore while trying to escape from the fast-approaching Pinguin. The Pinguin has a hard time catching up with the freighter. Finally, after a long chase, and after two long-range (22 km) salvos from the German ship, the freighter heaves to and waits for the Pinguin. It turns out upon inspection to be British refrigeration ship Maimoa, en route from Fremantle to Durban. After taking what it needs from the ship (which is full of meat and dairy products), the Pinguin sinks the freighter and takes its 87 crew prisoner. The downed seaplane crew, meanwhile, has to wait until the next morning to be picked up with their damaged plane. The distress call from the Maimoa reaches Royal Navy officers in Fremantle. They immediately dispatch heavy cruiser HMAS Canberra to the ship's reported position. While the ships have moved on from there during the chase, the downed seaplane is still at that position. Separately, 223 ton Royal Australian Navy auxiliary minesweeper/trawler HMAS Goorangai (D. McGregor, RANVR) collides with 10,346 ton British passenger MV Duntroon as it is exiting Port Phillip Bay, Melbourne. The warship, which is blacked-out, sinks. It is the Royal Australian Navy's first loss of the war. All 24 aboard the Goorangai perish. The Duntroon tries to pick up any survivors, but only finds six bodies. The Duntroon returns to Melbourne for bow repairs which last until 18 December. A court of enquiry finds no fault on the part of the skipper of the Duntroon. An ad in the Vancouver Sun for "The Great Dictator," which opens this week in Vancouver. 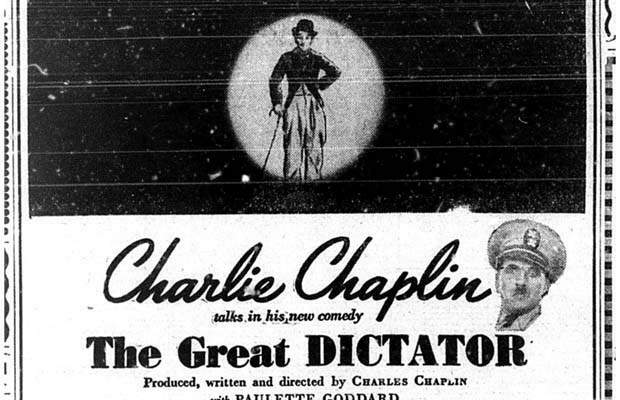 People still know Chaplin for his "tramp" character of decades earlier, so the advertisement emphasizes that despite the topical theme of the film itself. Hungarian/German/Italian/Japanese Relations: Hungary adds its name to the Tripartite Pact of 27 September 1940 (which makes it a quadripartite pact, but as other nations start adding their names, people just call it the Axis for convenience). This makes Hungary a nominal ally of Germany, Japan and Italy (though with some key reservations on its obligations thereto). The country that Hitler really wants to sign the pact is the Soviet Union, but that appears unlikely after the disastrous Molotov mission to Berlin earlier in the month. Hungarian Prime Minister Teleki and Foreign Minister Csaky sign the pact. Hungary has benefited from the First and Second Vienna Awards (which gave it Romanian territory) and historically sides with Germany. Despite its recent acquisitions from Romania, Hungary still feels itself slighted by the Treaty of Trianon which ended World War I in the region. This is not the first entanglement that Hungary has entered into with Hitler: on 24 February 1939, it joined the Anti-Comintern pact after sharing in the spoils from the dismemberment of Czechoslovakia. Admiral Miklós Horthy rules the country with an iron fist and is united with Hitler in a fierce hatred of Communism. However, his alliance is based more on a shared fear of the Soviet Union than it is on a love of Germany. Future History: Helma Sanders-Brahms is born in Lower Saxony, Germany. Sander-Brahms begins making (German) films in the late 1960s after interning with Italian "New Wave" directors. One of her most renowned films is "Germany, Pale Mother" (1980) about women in the Third Reich. While not very well known in the English-speaking world, she is considered a leader in New German Cinema and receives many awards in Germany and France. Sanders-Brahms passes away in 2014. With all the acting talent in "You'll Find Out," including Peter Lorre, Boris Karloff, Bela Lugosi and Dennis O'Keefe, bandleader Kay Kyser is the one who takes top billing. Also involved are Ish Kabibble - yes, Ish Kabibble - and Jeff Corey in one of his first (uncredited) film roles (and that creates a Star Trek connection for ya!). Incidentally, even Helen Parrish has a star on the Hollywood Walk of Fame, this cast is loaded - and yet the movie is completely forgotten except by film buffs. Go figure. Great to watch on Halloween! The Times-Picayune, November 20, 1940. November 23, 1940: U-Boat Bonanza!